This mosaic of 6,570 tiles was created from 3,617 images downloaded from the Pi Web site. The full size of the mosaic is 13336 pixels by 8176 pixels (185.2 inches by 134 inches). 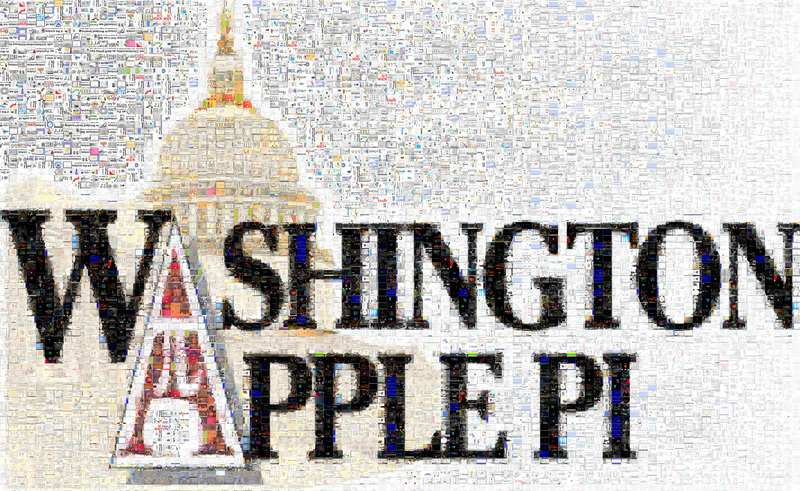 This is too large to put on the Web, but a smaller version, 40 inches across, is available (Washington Apple Pi Web Mosaic, 3.1 megabyte JPEG). Use the controls at the bottom to zoom in (+) and out (-) and move around; you can also simply click and drag the image. Hint: the darker areas are more interesting.